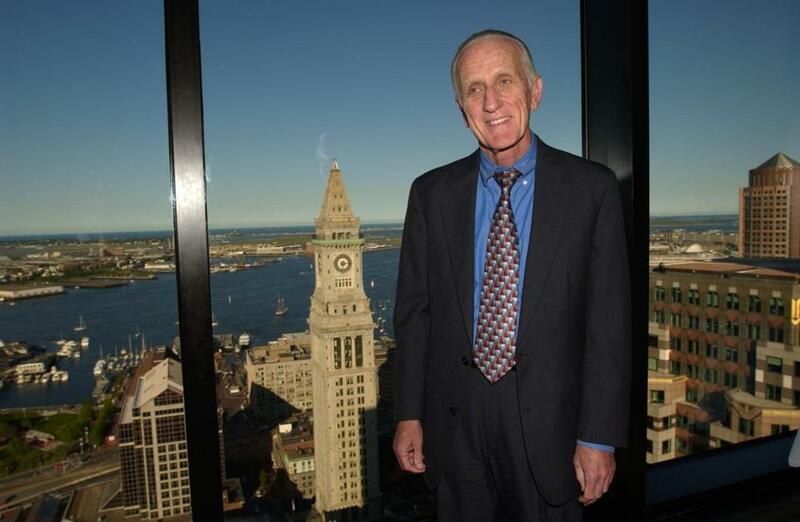 Ed Ansin has owned WHDH in Boston since 1993. Ask Ed Ansin, the billionaire owner of WHDH-TV (Channel 7), about what’s going on between him and NBC and he’ll tell you. “They are trying to steal our station,” Ansin said in his first interview about negotiations with the network. It’s widely known that NBC wants to own and operate a station in Boston. Ansin said NBC officials told him in September that they would not extend his affiliation agreement, which expires at the end of 2016. Without shows like “The Voice” and “Saturday Night Live,” WHDH’s value would drop substantially, but Ansin was told the peacock network would buy his license and broadcast facility for about $200 million. Ansin said NBC is threatening to move its programming to another area station it owns, WNEU-TV, which currently broadcasts Telemundo. NBC would house its local news operation at New England Cable News, which is expanding its studio in Newton. Cable giant Comcast owns both NBC and NECN. The 79-year-old media mogul, however, balked at NBC’s offer. He said he wouldn’t consider selling unless the network ponies up more than $500 million and WLVI-TV (Channel 56), another Boston station he owns, is included in the deal. The scuttlebutt is that NBC has had enough of billionaire Ed Ansin, whose Sunbeam Television Corp. owns WHDH. Shawn Feddeman, a spokeswoman for NBC, declined to comment. WHDH is a prize because networks prefer to own and operate stations in lucrative markets. Still, Ansin, whose family has been in the TV business for more than half a century, said he doesn’t get why NBC is trying to squeeze him out. “No network has elected to give up such a strong station and go to a startup station,” said Ansin of NBC’s proposed move to WNEU. The station’s transmitter is based out of Merrimack, N.H., and reaches half as many viewers as WHDH, though that is less of an issue with cable subscribers. This is not the first time Ansin has starred in an NBC drama. His Channel 7 in Miami was the NBC affiliate until the network bought another station in that market in the late 1980s and shifted programming there. So Channel 7 became a Fox affiliate. Ansin, with a focus on flashy graphics and breaking news, made the station must-watch TV. It’s a similar formula he brought up to Boston when he acquired WHDH in 1993. Ansin’s brother, Ron, said that his younger brother is digging in because he likes the TV industry. Ed Ansin now lives in Miami, where his Sunbeam Television Corp. is based, but said he has visited Boston once a month for two decades checking in on his stations. His brother describes him as quiet and reserved, and Ed Ansin initially did not want to talk publicly about his dealings with NBC. But he changed his mind because he wanted to set the record straight about his relationship with the network. “The reality is between Miami and Boston I have been an NBC affiliate for 47 years,” said Ansin. The other big “argument” was in 2009, when Ansin initially refused to air Jay Leno’s new 10 p.m. talk show, preferring to launch a local newscast and run the comedian at 11 p.m.
NBC threatened to pull WHDH’s affiliation. After a one-week standoff, Ansin reversed his decision. But the TV station owner got the last laugh because lackluster ratings forced NBC to drop Leno’s show after less than a year. As for Ansin’s current back-and-forth with the network, he holds out hope that Boston viewers won’t have to switch channels.